Fireside Lodge Furniture Company is your one stop “Lodge Furnishings Destination” for hospitality/designer needs. Our vast commercial experience with restaurants, stores, lodges, and hotels with rooms from one to four hundred puts your mind at ease–there is no project too large or too small. Have a custom project? No problem. Our experienced designers are happy to work with you on any custom designs or choose from hundreds of product offerings. Our commitment to “being an easy company to work with” translates to exceptional value and service throughout the lifespan of your project. 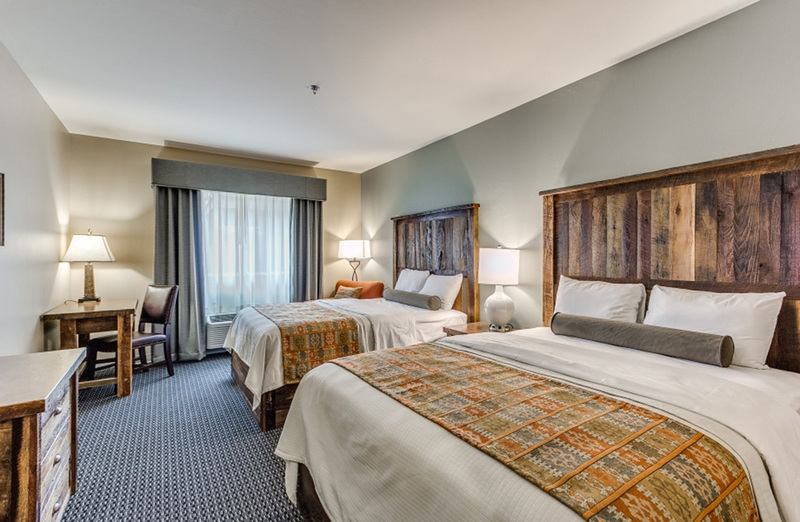 Fireside Lodge Furniture uses a wide range of high quality woods including Hand Peeled Northern White Cedar, Bark-on Kiln Dried Hickory, and authentic reclaimed Barnwood from 1800 tobacco barns. We have several different finish options which add even more variety. Couple this with our sister company, Wooded River, Inc, for your fabric/bedding needs and you will see we are truly a one stop shop of made in the USA products! Visit the Fireside Lodge Furniture website to view our products.